Nepal might be the only one country in the world where the guests are symbolized the gods and their warm and hearty hospitality is believed to gratify the god. Sincere, generous and great hearted people of Nepal are culturally very rich. Even in the age of science and technology, the people of Nepal still believe in witchcrafts & supernatural forces. It is believed that everything contains the particular god/goddess and women symbolize the power. Prosperous cultural heritage and diversity is the identification of Nepal. Nepal is not only famous for natural beauty, it has so many cultural wonders which might be the real lifetime experience for the tourists. It is believed that there are: temples & shrines more than the houses, Gods & goddesses more than the people and 366 feasts & festivals in 365 days (in a year). According to the Hindu epics, Brahma, Vishnu and Shiva are the main gods of Hindus and there are 330,000 thousands deities scattered all over the universe. Nepal is one of the richest countries in cultural heritage which can be the real paradise for the anthropologists and the pleasure tourists who are interested to experience the novelty in culture. 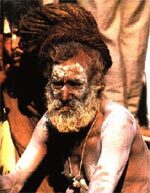 Each society and caste group of people have their particular religion, feasts, festivals and traditions. That's why, the best way to experience the cultural shocks/phenomenon is to travel the certain society and area then study the culture very closely. Village Tour can be the best idea to experience the unique Nepalese culture where the religious & ritual ceremonies and wonder of customs can be experienced very closely.